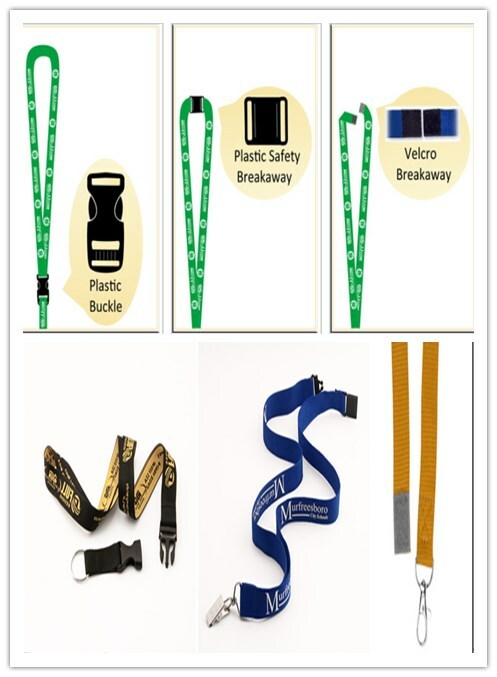 The accessories are the most important section on the lanyards, and the accessories can be divided into two parts: lanyards attachments and safety breakaways (also called optional release attachment). Today, we have chosen all types of the attachments and safety breakaways used in our life and introduce them in details. Key ring sometimes called a key ring and it comes in many sizes. 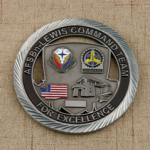 The circular shape allows us to hang a set of keys directly to your lanyards. For many people, it is the perfect choice for them if the lanyards will be used for keys. The key designation is simple and versatile. It is security to hold the keys and can be used in anywhere or locations. The material of ring meets CPSIA Low Lead Compliance as children’s mental jewelry. One thing you should know that the ring attachments sometimes snag hairs. So if you have longer hair, we suggest that you can choose other attachment. Additionally, we also have the lanyards with two metal key rings which were expensive than one metal key ring lanyards, and it can hold on more items on the custom made lanyards. J-Hook can hold the ID card and split the key rings. 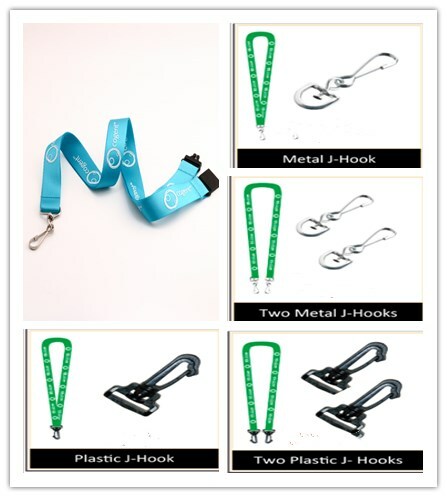 The J-Hook attachment can be divided into metal J-Hook and plastic J-Hook by its construction material, and also can be divided into one J-Hook and two J-Hooks by its quantity. For the J-Hook attachment, we can easily to open it according to textured grip. The swivel on the lanyards allows the attached items to be rotated 360-degree. The whole appearance of J-Hook looks like a word of “J”. The attachment of lanyards can let the badges facing any directions. Although one of the drawback of J-Hook is that maybe it can scratch the top slot area when we wear the lanyards without being careful, the strong and powerful hook can be surely hold on heavier badges keys and other small items. If you take part in a meetings or celebrations, you can wear the lanyards with metal or plastic J-Hook attachments. Metal Lobster Claw really looks like a crustacean’s hand. You can see the one metal lobster claw lanyards and two metal lobster claws lanyards on the customize system of GS-JJ.com. Both of them had high resistance values. The metal can be dipped to have a chrome or gold finish with different colors. 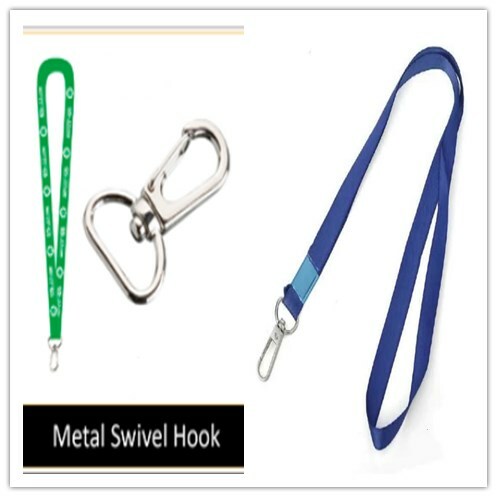 The silver metal color is the best selling color, and many lanyards used the metal color. 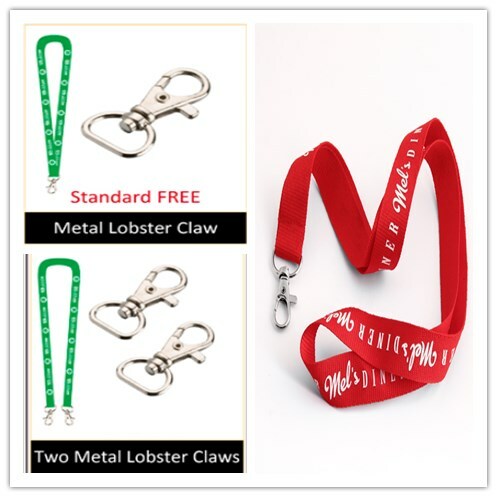 The attachment of lobster claw can hang all kinds of items on the lanyards, although the price was higher than two types of attachments mentioned above. The people who ordered the metal lobster claw attachment can expect that they will receive lanyards used longer time than other people who buy other kind of attachments. The lobster claw is the most durable type of the lanyard attachment. 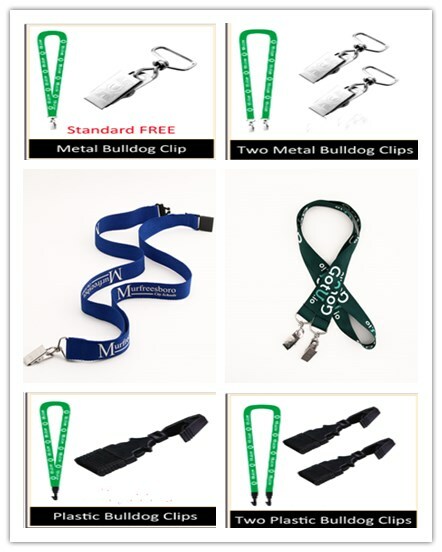 Bulldog Clip is one type of the lanyard attachments. Have you ever wondered why we call it as bulldog clip? Actually, “Bulldog” is a company name and has trade mark (like Band-Aid), which was used to indicate the strength of the clips. The bulldog clip refers to a strong clip and can be attached almost anything. The attachment can keep the ID badges facing forward, and it is the best attachment for holding the cards that have a hole punched on the card’s top. The bulldog clip fall into two basic types, plastic bulldog clip and metal bulldog clip. The plastic bulldog clip is lighter and cheaper than metal bulldog clip. The lanyards with two attachments have become popular recently. Which one did you like, two metal bulldog clips or twp plastic bulldog clips? Metal Oval Hook is timeless, classic designed hook that owned superb quality and available price. The whole appearance looks like oval shape, and the Metal Oval Hook were thicker and stronger than other attachments. The way to fix the word card is similar to the J-Hook. You only need to press the one side of the attachment, and then put the small items in it. The most important value you should know is that it had rust resistant and highly durable. Metal Oval Hook can be used for everyone. Metal Swivel Hook comes with a rounded and D-shaped swivel head. The marine bolt snap were crafted from the material with cast and metal steel. The attachment also can be used with fashion bag and marine device. Actually, the attachment was less used on the lanyards. But you can find all of the lanyards with metal swivel hook on our online shop. Metal Slide Hook included a heavy-duty and semi-square swivel head. The shape of the attachment looks like a lower case letter of “q”. As for the metal slide hook, you also can choose different color,like gold, antique brass, black nickel and antique copper. Any color you need, please tell us and we will meet your needs. Snap Swivel Hook was composed of one inch rectangle swivel ring, a lobster claw snap hook and flat rope. The lobster claw hook included an easy-to-open finger latch. It can works great with lanyards and flat strap, which is the charm of the item. You can see that the snap swivel hook is similar with metal lobster claw. But the difference between them is the price and weight. 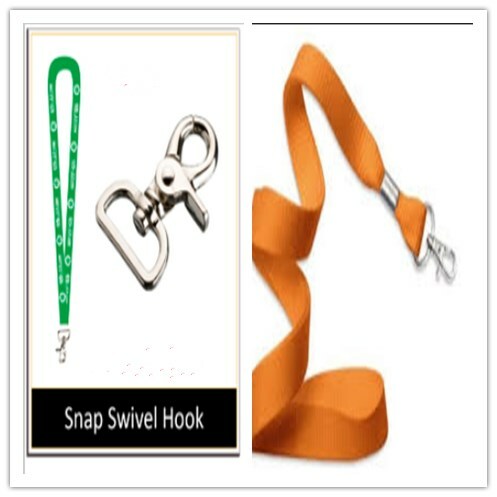 Snap swivel hook were heavier and more expensive than metal lobster claw. Cellphone Loop is a univeral lanyards strape that can offers a secure to avoid unfortunate drops. You should use one side of the cord slip into your phone or phone case, and then install it on the lanyards. The cellphone lanyards were finished. Cellphone loop were made by plastic and a loop rope. 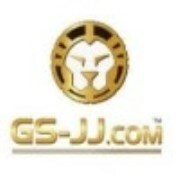 The lanyard with two attachments were designed and made on GS-JJ. 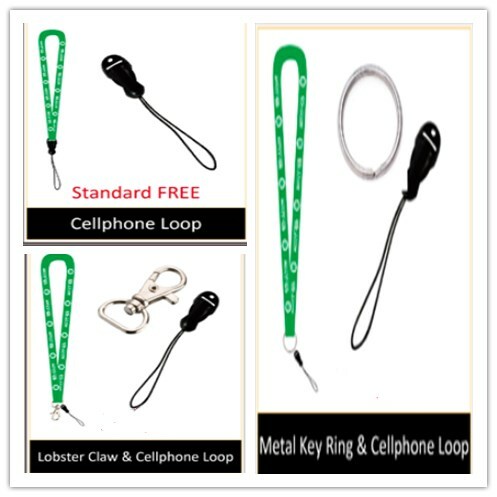 You can choose two differents attachments, such as metal king ring and cellphone loop on one lanyards, and lobster claw and cellphone loop on one lanyards. Both of these were showed on following pictures. Water Bottle Straps are rarely used in lanyards field. But we still can provide the attachment lanyards if you need. 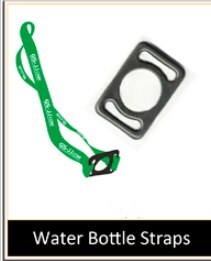 As it literally meaning, water bottle strape was made by plastic and used for holding the water bottle. There is a round hole where the water bottle placed. Plastic Buckle (also called buckle release) is made for protecting the users, and can carry the keys and small items. We can see the side squeeze buckle for easy detachment. The safety breakaways can prevent users from removing the lanyards when they use attachments. The design of safety breakaway can be continued to use for a long period. 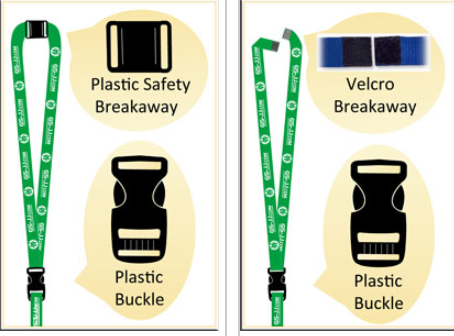 More than seventy percent of the lanyards had installed the safety breakaways. The plastic buckle was located on the upper of the lanyards attachment, and you can open it and depart it into two parts. If you use your lanyards around the children then the safety breakaway should be considered. When the lanyards have got enough tension and force, the lanyards will break at the plastic connection point. Your lanyards will not create hazard to anyone. Plastic Safety Breakaway can pull apart when tugged and snagged. The plastic safety breakaway was hidden around the back of the neck and can be used in schools and hospitals. The design of breakaway offers an important safety feature. If you want to depart it, you can pull from two sides and then you can open it. Velcro Breakaway is an industrial safety product. The product highlights included mated reclosable fastener and aggressive adhesive used indoor or outdoor. You can just tear it off with our hands. If we are on budges tight, we can choose this breakaway for your lanyards. 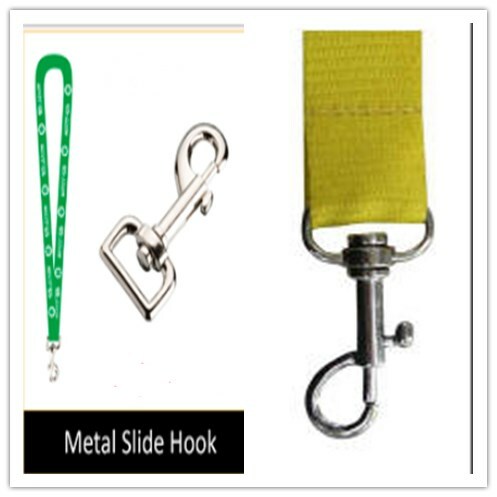 Additionally, we designed cheap custom lanyards with two attachment,such as Plastic buckle & plastic safety breakaway, and plastic buckle & velcro breakaway. These type of lanyards can provide double protection, which is the best choice for little child. According to the above introductions, we believe that you have known more about the functions of the attachments and the usage of the safety breakaway. 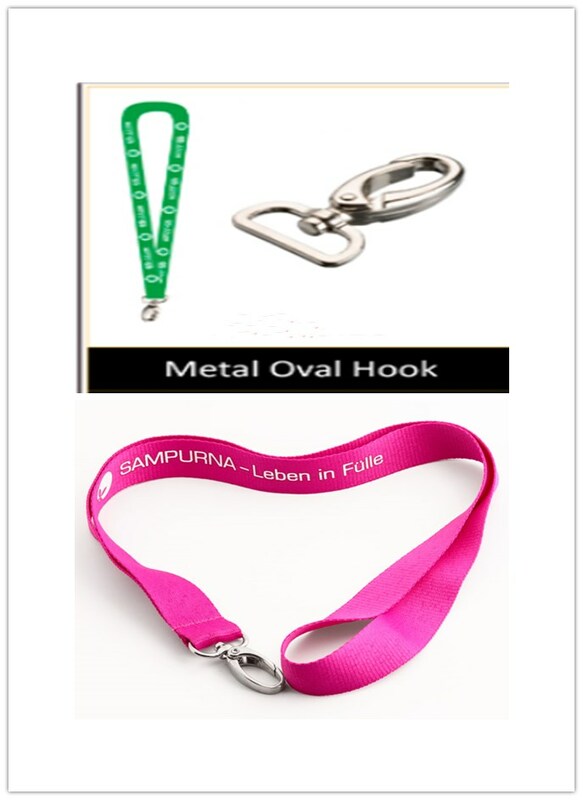 You also can choose the suitable and right lanyards accessories according to your own need. GSJJ is a lanyards manufacturer and exporter. 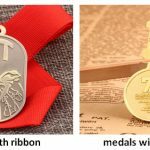 We design many cute lanyards and cool lanyards, and you will find the one you like most at here. Importantly, if you have your own ideals on the custom made lanyards, you can tell us and we will make it for you. 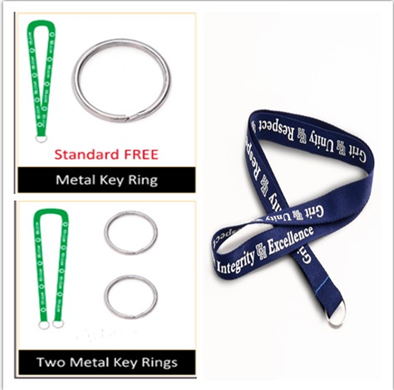 The attachment and safety breakaway of lanyards can be selected by you. The custom made lanyards and awesome lanyards have high quality and lower cost. We have invited the experienced maker for you to produce your own personalized lanyards. Welcome everybody to contact us.